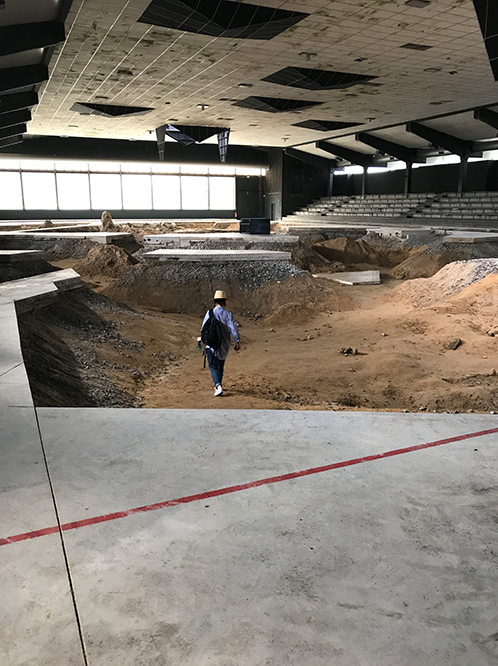 Mamiko visiting Pierre Huyghe’s After ALife Ahead at Skulptur Projekte Münster 2017, photographed by Leslie Hewitt. Public Art for PS 313Q in Woodside, Queens. Commissioned by NY School Construction Authority, NYC Department of Cultural Affairs, Percent for Art Program.